Posted in Accidents by Mikhail Voytenko on Nov 06, 2018 at 09:49. 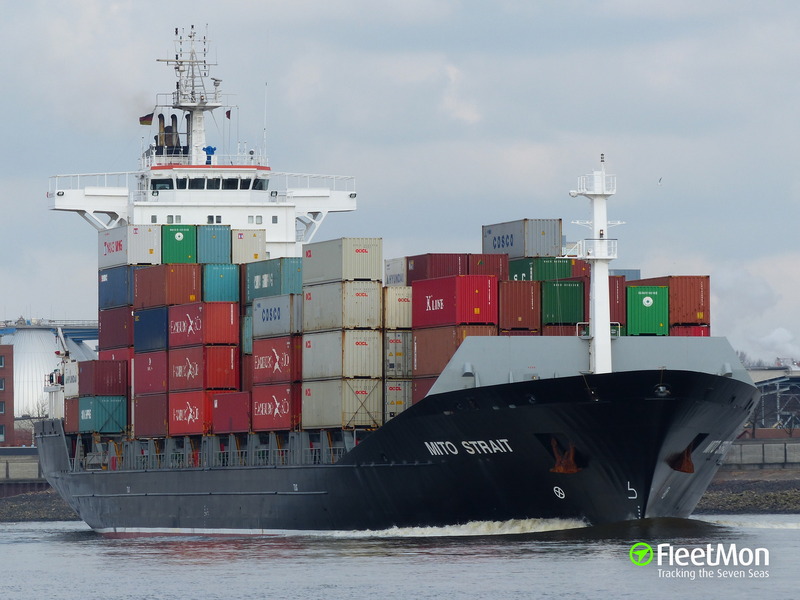 Container ship MITO STRAIT contacted bottom at around 0430 UTC Nov 5 in Kattegat north of Aebelo island, Denmark, while en route from Hamburg to Frederica Denmark. The ship was brought to anchor near contact site, reportedly propeller and rudder were damaged. Small amount of oil was spotted in the area, divers were to survey underwater hull of anchored ship to determine if there’s hull breach in fuel tanks area. As of 0930 UTC Nov 6, the ship was still at anchor, with tug and anti-pollution boat at her side.